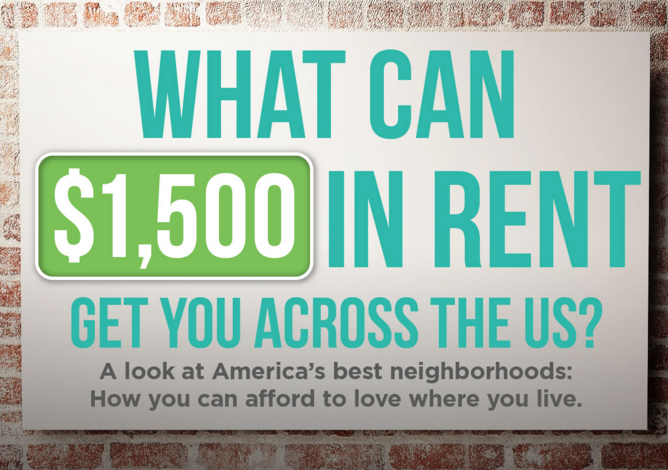 [Infographic] What Can $1500 in Rent Get You Across the US? Rental prices have steadily climbed over the past several years and can represent a significant expense for many renters. That said, the idea that you can’t live where you want to is simply not the case. Even with rental rates on the rise these days, you can find luxurious and affordable options in one of several unique and exciting neighborhoods – but what exactly does $1500 get you across the US? View our newest infographic to find out! Are you planning a move to the sunny shores of Honolulu? While many visitors think of Hawaii as a laid-back paradise where luaus and grass skirts reign supreme, it is important to remember that the state of Hawaii – and Honolulu especially, is a major hub for business and trade. This means that there is a big demand for housing, and rental prices can command a premium in this area of the world. Search the neighborhood of Kapahulu, though – itself just under two miles away from Diamond Head State Monument, and find charming one bedroom apartments for rent for just $1,100! With more than 600 square feet of living space in an incredibly desirable neighborhood, this area represents real value. Perhaps you are in the market for an apartment in trendy North Scottsdale, Arizona and value spacious accommodations with a Western flair. Here you’ll find that $1,500 goes a long way. A 2-bedroom, 2-bath, 1,200 square foot apartment can be had for just $1,075 per month and resides within close proximity to a host of exciting outdoor venues. If you’re looking for a decidedly quaint New England residence and don’t mind the occasional snow storm, consider Downtown Portland, Maine. Discover 1-bedroom, 1-bath apartments for about $1,350 per month. This area is a mecca for organic and sustainable businesses and is a magnet for creative types, like artists, writers, and photographers. It also boasts more doctors per capita than most other cities and has incredibly clean water and remarkable air quality. Miami Beach represents a polar opposite to Maine – at least in terms of weather. But one thing that they have in common is an abundance of affordable housing options. North Miami Beach features eclectic and funky art deco stylings and a host of exciting eateries on virtually every street corner. You can also find 2-bedroom, 1.5-bath apartments that measure up to 900 square feet – all for about $1,300 per month. Being minutes from the water never hurts either! If your tastes run high – like a mile high, you may want to investigate the trendy and gorgeous Highlands neighborhood in Denver, Colorado. This area offers 1-bedroom, 1-bath apartments for about $1,500 per month and is surrounded by never-ending green spaces, parks, and seriously vibrant city life. Denver offers a mix of Western flair and Midwestern sensibility, along with a progressive and slightly Bohemian flavor. Take a look at the Central Hub when seeking housing options in this cool neighborhood. You’ll find plenty of affordable housing options across our great nation – many of them available for $1,500 or less per month. From spacious apartments or townhomes in up and coming areas, to efficient and sophisticated housing choices throughout our major cities, finding a place to call home for less than $1,500 per month is not only possible – it is downright easy if you know where to look. For more information on luxurious, affordable housing, visit http://www.lincolnapts.com/ today!